A Brief Intermission: See you in 2018! Happy Holidays, friends! 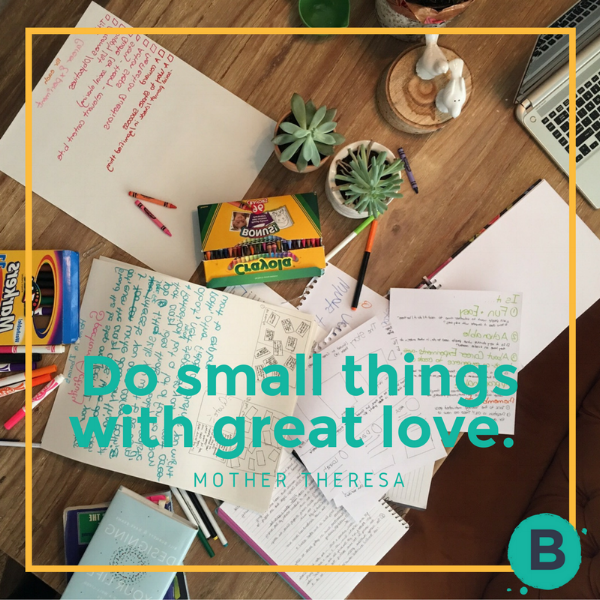 Thanks for being part of Better + Better's inaugural year. The picture above is from February of this year, when Career Experiments were a bunch of ideas floating around on notebook paper. From working with college students I knew where those "ah ha" career insights came from - and it wasn't from sitting in an office talking to me. Every career insight was sparked by hands-on experience - and sometimes, that experience was hard to find. So, Better + Better was born in September featuring Career Experiments. From Volunteering Strategically to Talking to an Expert, these step-by-step guides connect anyone exploring career paths with experience that invites those life-changing "ah ha" moments. Crazy what can happen in just one year, isn't it? In the spirit of doing small things with great love, I'll be taking a few weeks off to plan a fabulous 2018 for Better + Better. Hope you have a wonderful holiday, and I'll see you in January! This turned out to be the hardest post I've written yet. Why? Because I'm obsessed with books. I actually got locked in a bookshop in elementary school when both of my parents thought that I had left with the other one. I didn't notice that the store had closed until the lights clicked off, and then, to the surprise of the remaining sales associate, I emerged from my cocoon in the kids area. Once, at REI, I was forced into buying a copy of Adventure Divas after instinctively pulling out a pen and underlining a really good paragraph before it was "mine." All my college textbooks are still at my parent's house. I could have sold them back and pooled the money with my girlfriends for a post-finals retreat at the W Hotel, but in my words to my dad (Who graciously hefted them all up into the rafters. ), "They're like my children!! I can't just get rid of them!!" In fact, just last week I went to Blackwell's for one book, and ended up with four. Because why read "a book" when you could "a theme" instead? My compulsive book buying habit was almost YOUR problem too, since I outlined a post on twenty five book recommendations. But then you wouldn't read it, because that would be truly overwhelming. So, instead, here is an edited list of three idea-filled reads to inspire your career thinking for a new year. Back in college I was a Resident Assistant. Whitman was a nerdy place, so when I invited my hall to watch The Open Road, a documentary on exploring career paths, the lounge was actually full. Ten years later I was surprised to receive a call from the organization that sponsored the film; the green RV was still on the road, and they wanted to recruit students for an upcoming episode at the university I worked for. As a "thank you" for coordinating they sent me a free copy of Roadmap. I flipped it open on a leisurely Saturday morning thinking I'd give some excerpts to my students, then, hooked by the brilliant content, went back to page one and read it all the way through. In one sitting. Because it's seriously that good. Forget the students...I loaned it to my colleagues, with strict instructions to GIVE IT BACK. Most importantly, the ideas are actionable. Second of all, it's so inspiring that I left the cafe walking on air, excited to bring more curiosity and fun into my career. Third, it's relevant, with stories from people who are making an impact in culture right this very moment. Surprise! You only need 90 seconds to be inspired by this one. Leave it to Longfellow to write one of those so-good-you-could-cry poems about building a meaningful life (included: career) one little building block at a time. At 23 I was lost...passionate about education, yet managing a little office at a Pilates studio, in tears over how much I hated my job and how frustrated I felt about not knowing how to navigate towards the career I hoped existed in real life and not just in my dreams. In front of my boss. Bless her. She gave me a copy of this book and a high five when I did find a boarding school that was even more amazing than my imagination could concoct, and headed off to Montana three months later. This book is sloooow, reflective, philosophical. If you like Yoga, you'll probably like this too. The bit on "captaincy," fully embodying our lives and taking responsibility for the direction they go in, is a moment by moment challenge. About a year out of college I was meandering the magazine aisle at Barnes & Noble in Seattle when a cover featuring the CEO of a local book publisher caught my eye. I recognized the name from a book my roomies and I loved. It was filled with questions, and we'd choose one to talk about before going on a run (to distract us from the pain...). On a whim, I emailed the CEO and asked if he'd like to have dinner with us. Six weeks later, he replied "yes." There's a remarkable vehicle for connecting professionals with recent grads who have big dreams, lots of motivation, and a desire to sit humbly and learn from someone else's journey: It's called an informational interview. 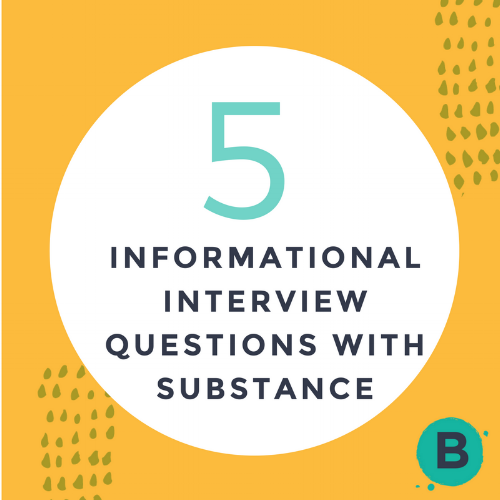 If you have heard of informational interviews, you know this is one of the quickest ways to gather lots of great insights about a career path or industry. But, questions like “What are the best and worst parts of your job?” and “How can I stand out as a great candidate in this field?” only scratch the surface. When you’re lucky enough to be speaking to a seasoned professional with experience, connections, and deep knowledge of their field, why not take advantage of it? Sure, some friendly chit chat helps everyone settle in. But once that formality is taken care of, these questions will help you move from a high-level conversation to something with substance - so you leave with not just good information, but insider’s information too. What are some of the hot topics being discussed in your organization right now, or in your field? What’s at stake on both sides of the discussion? How would I recognize a great opportunity in this field? What danger signs would suggest that an organization is struggling, or that I should avoid the opportunity? What organizations in this field should I be keeping an eye on? Who’s driving change, shaking up business as usual, or standing out to you for any reason? Where does the tribe for this field hang out? Are there any specialized networking groups, online communities, professional associations, or other hubs that I should be connected to? To my understanding, ___(fill in the blank with an assumption you’re making about the field or have heard to be true, like “only candidates with master’s degrees are taken seriously, even for entry level roles.”)____. From your experience, would you agree? Why or why not? A few days before your informational interview, send the professional you’ll be meeting a few of your questions along with a confirmation of the meeting time and location. This will give them a bit of time to think about their answers, since they just might need it! I was introduced to Madison by way of a mutual friend who loved her design style. Our initial emails about project ideas grew into lively brainstorming/editing sessions, where Madison would do her magic in real time, editing behind the scenes as our conversation progressed and then voila! - something better than I imagined would refresh on my screen. 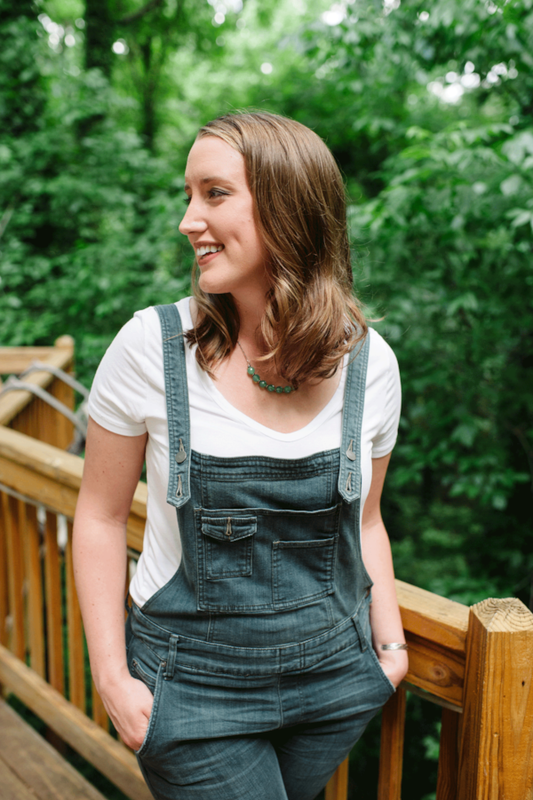 Her fun personal site is about as upbeat and friendly as she is. Madison is a true creative, dabbling in projects that build new skills while she investigates her interests. I'm impressed with her skill-building drive (Which is essential...the more skills you have, the more opportunities you have access to!) but I'm floored by her focus on building a community. We talk a lot here about "learning from your tribe," but she's taking it up a level and uniting her own. Wow. What career interest(s) are you currently exploring? How did you discover that interest? I think it’s always been in the back of my mind. I worked as an office and community manager for a while and I loved creating a welcoming environment. I worked with an arts nonprofit and enjoyed coordinating with artists and nonprofits to do workshops and art events. I worked as a brand manager for a blog and enjoyed connecting with large brands for sponsorships and paid posts. I enjoy making my own little line of greeting cards. Through all these experiences, I was able to take what I learned and apply that to the next project. Everyone has so much to offer and receive. So much to teach and learn. We just need to be mindful about putting the pieces in place. I really like putting the pieces in place. What are you doing to investigate? I am really trying to be gentle with the maker’s place idea and see if it’s a good fit. 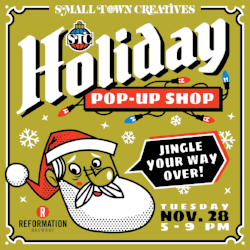 I am working with another small town evangelist, Small Town Creatives, to coordinate their first maker’s pop up shop at our local brewery. Pretty cool and special! It’s my own mini career experiment! I also started working part time at a local yoga studio to see if I enjoy being in a place at a certain time every day. Turns out, I do! The routine and consistency are so nice after 2 years of dry shampoo and #freelancelife. I’m learning a lot about customer service, about business operations, scheduling and how to solve problems. The owner of the shop is a very smart and thoughtful about her business, and I really enjoy learning from her. What has surprised you most about your investigations so far? While I’m in the experimental stage, I have been slowly whittling down the design projects I take on. This experiment has created a much healthier balance of work and play for me. I've been working on my photography, my writing and illustration. I've been reading a lot. It's been fun! I’m excited to see where this goes! When you ask people how they got into their careers, you hear some crazy stories. Kat Cole, CEO of Cinnabon, got her start at Hooters. She was just planning to waitress to earn money for college. Her talent landed her on the radar of management, and then other opportunities began coming her way...including traveling internationally to train new staff members. By 26 she was promoted to VP of Training and Development. Her story might be on the "extreme" end, but the truth is that finding a job you love rarely happens "according to plan" for any of us. More often, the path becomes clear as you walk it.